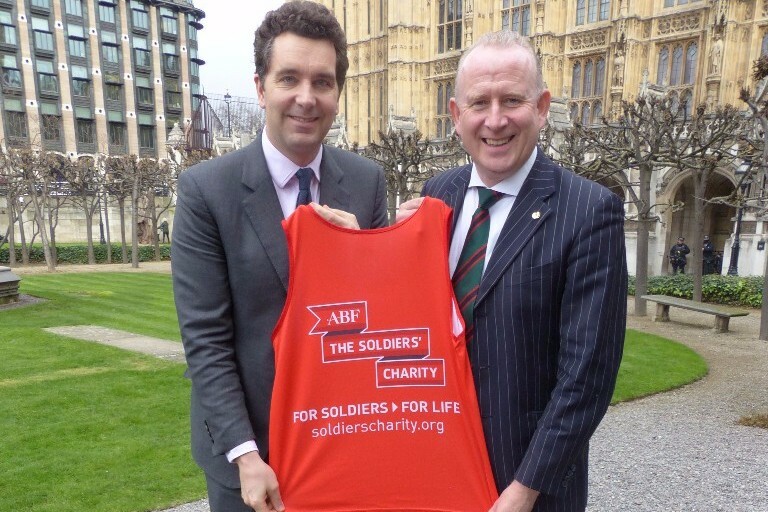 In April, I will be running the Virgin London Marathon with fellow Cheshire MP, Graham Evans, in support of Muscular Dystrophy UK and the Army Benevolent Fund – The Soldiers' Charity. Between us, we have run 17 London Marathons and, collectively, raised tens of thousands of pounds for many worthwhile causes – including charities and groups, such as The Christie, East Cheshire Hospice, Leighton Hospital, the Royal British Legion, and Care After Combat. Our Virgin Marathon personal bests, going into this year’s event, are not too dissimilar. Despite getting close in recent years, my PB still stands at the 2013 record of 3hrs 42 minutes, while Graham, in his fifth consecutive marathon, last year, achieved a new record time of 4hrs 25mins. ABF - The Soldiers’ Charity, meanwhile, supports soldiers and veterans from the British Army, and their immediate families, in times of need. It makes grants to individuals through Regiments and Corps, and supports a wide range of specialist charities that sustain the British Army ‘family’, both at home and around the world. I know many of you will already have charities that you sponsor, both personally and corporately, but, if you are able to support us and these fantastic causes it would be very much appreciated. 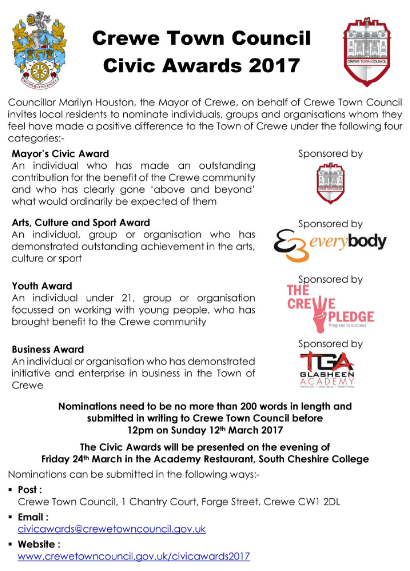 Do you know someone who has made an outstanding contribution to the local community; an individual that has demonstrated achievement across the arts, culture or sport disciplines; a young person, group or organisation focussed on working with children and teenagers; or a local business that has demonstrated initiative or enterprise? 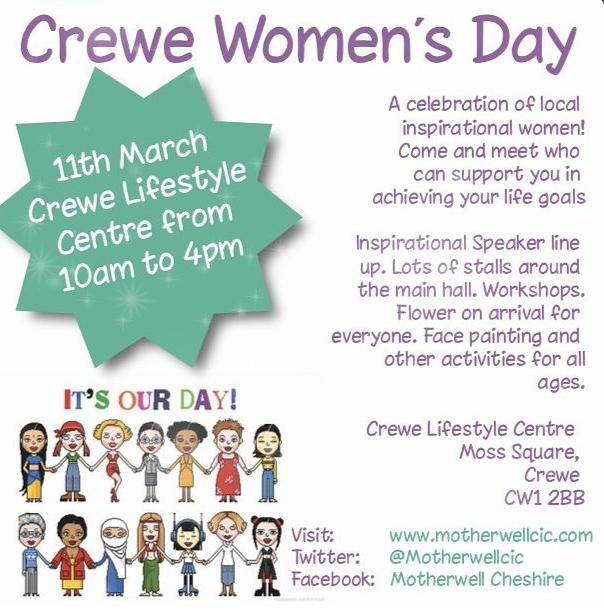 If so, the Mayor of Crewe and Crewe Town Council want to hear from you! See the below poster for more info. 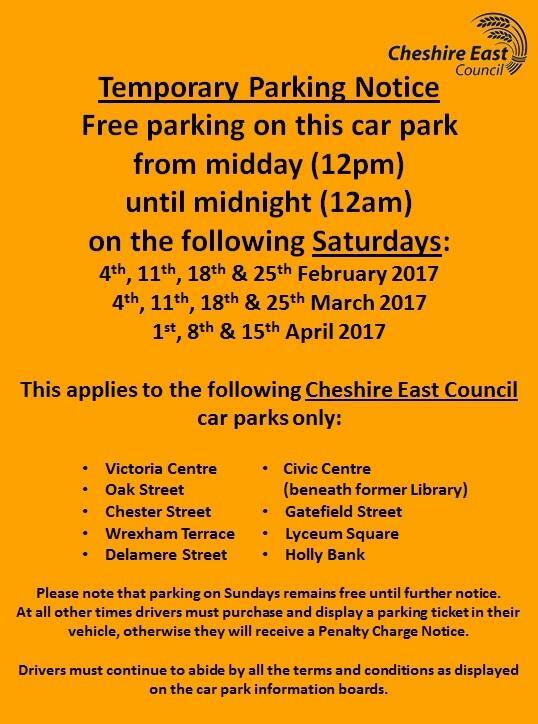 Cheshire East Council are offering FREE parking in Crewe town centre car parks on Saturdays, after 12pm, until Easter 2017. Cheered on the Parliamentarians at Holly Holy Day in Nantwich! 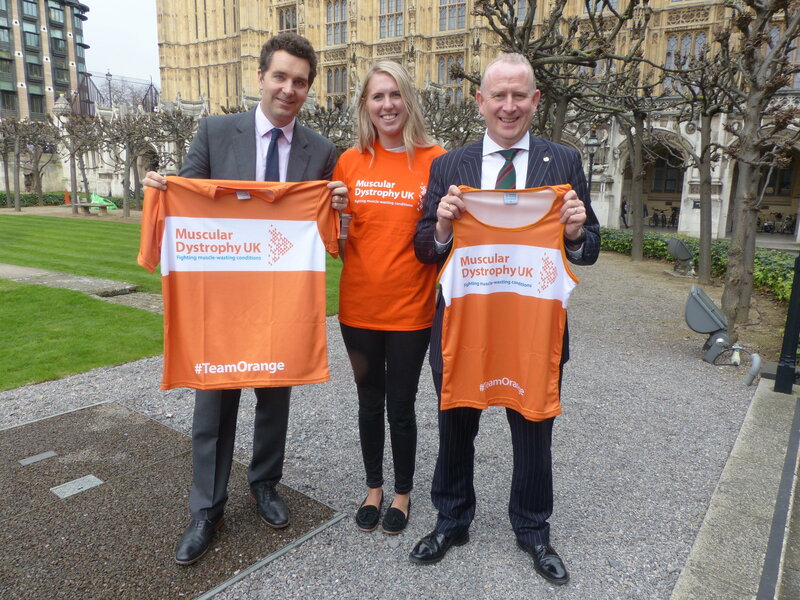 Attended an MP's 'Training Breakfast' event, ahead of this year's London Marathon. Paid tribute to local organisations at the Wishing Well 'Voluntary Organisation Event', at The Georges Community Centre. Joined volunteer litter pickers in Nantwich to support Keep Britain Tidy's 'Great British Spring Clean' campaign. Made representations to the Secretary of State for Education, Justine Greening MP, about the impact of the Government's proposed National Funding Formula on Cheshire East schools. Marketing Cheshire has announced the launch of the inaugural Cheshire Residents’ Festival. Residents of Cheshire will be able to enjoy some of the region’s excellent tourist attractions for FREE to celebrate the annual week-long celebration of English Tourism Week which takes place from 25th March to 2nd April 2017. Marketing Cheshire alongside the respective local authorities formulated Cheshire’s first ever Residents’ festival as a way of saying thank you to the people of Cheshire for the warm welcome residents give to the 48 million visitors that visit the region. The concept of the festival was borne from the notion that whilst residents have some of the country’s most brilliant attractions on their doorstep, which millions of tourists travel across the country for, there are many of Cheshire’s own residents that haven’t ever experienced them. Many of the county’s largest attractions are offering the opportunity to visit for free for one week only. 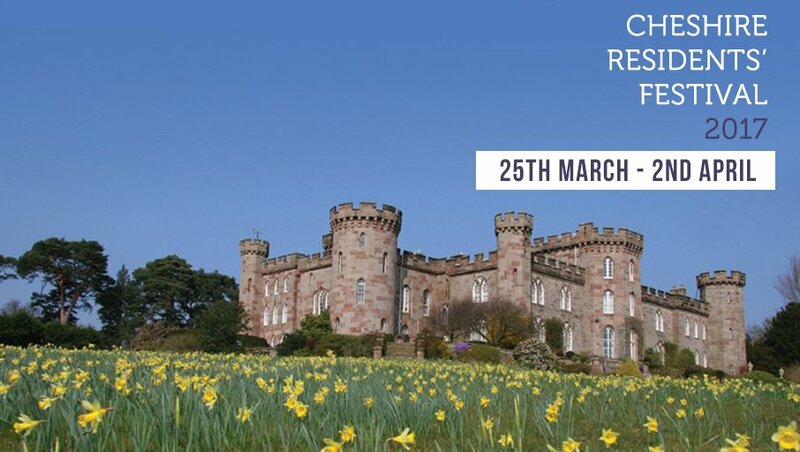 Representatives from Cheshire’s Gardens of Distinction like Adlington Hall and Gardens, Cholmondeley Castle Gardens and Tatton Park Gardens are all offering free entry to enjoy the British seasonal planting and landscaping for which Cheshire is renowned. Wildlife lovers can visit RSPB Burton Mere or Reaseheath Zoo and culture vultures can enjoy performances at Crewe Lyceum for free, entry to the Port Sunlight Museum and the chance to have a behind the scenes tour of Chester’s new cultural centre, Storyhouse. Jodrell Bank have also offered 250 free tickets to enjoy their discovery centre – a chance to explore the workings of the universe and the giant Lovell telescope. To join in, visit and book tickets through: http://www.visitcheshire.com/cheshire-residents-festival. 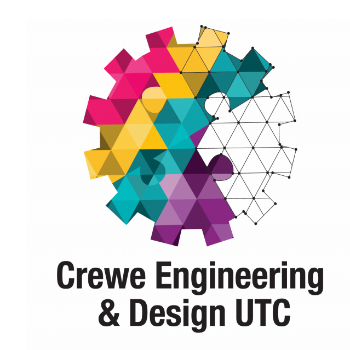 On 16 March, Crewe Engineering & Design UTC will be hosting an opening evening for prospective students, aged 14-18. The vision of Crewe's new UTC is to be an engineering and design education provider of choice, and via its collaboration with local employers, such as Bentley, Bosch and Network Rail, it aims to ensure that students are exposed to a unique learning experience, within the full scale of engineering and design disciplines and opportunities. 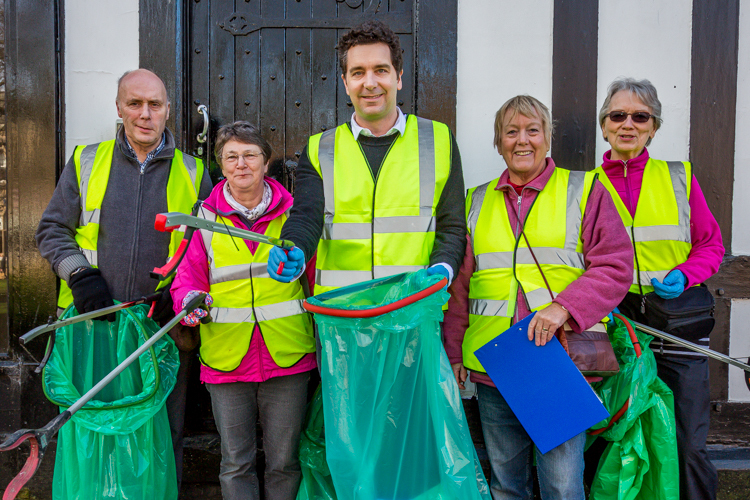 Crewe and Nantwich MP, Edward Timpson, joined volunteer litter pickers in Nantwich town square, on Saturday 4 March, to support Keep Britain Tidy's 'Great British Spring Clean' campaign. 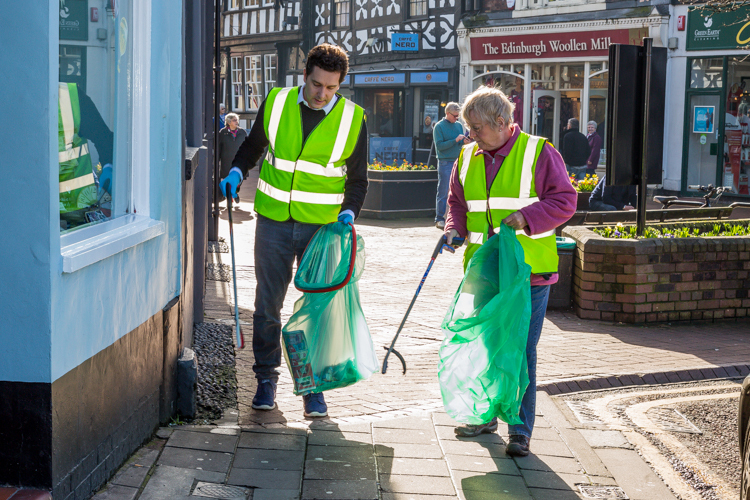 This new campaign followed on from the success of last year's 'Clean for the Queen', and, like its predecessor, had a simple ambition: to bring together people from across the country to clear up the litter in their towns and public spaces. A record number of events and picks were held across the constituency, with many coordinated by groups such as the Crewe Clean Team and Nantwich Litter Group. Firefighters in Crewe are hoping to swap buckets of water for buckets of cash this weekend. On Sunday, 12 March, they'll be rolling up their sleeves, and washing cars, to raise money for the Fire Fighters Charity - a support group that has provided assistance to serving and retired firefighters for more than 60 years. The car wash will take place at Crewe fire station, on Crewe Road, between 11am and 4pm.